He wasn’t just talking about the high paced, action filled 4-3 win over McGill and the resulting Corey Cup win. Lalonde was talking about the special, familiar nature of the cross town rivalry between Concordia and McGill’s men’s hockey programs that has existed for decades. Like last year’s edition, the game was one of the most exciting of the season. 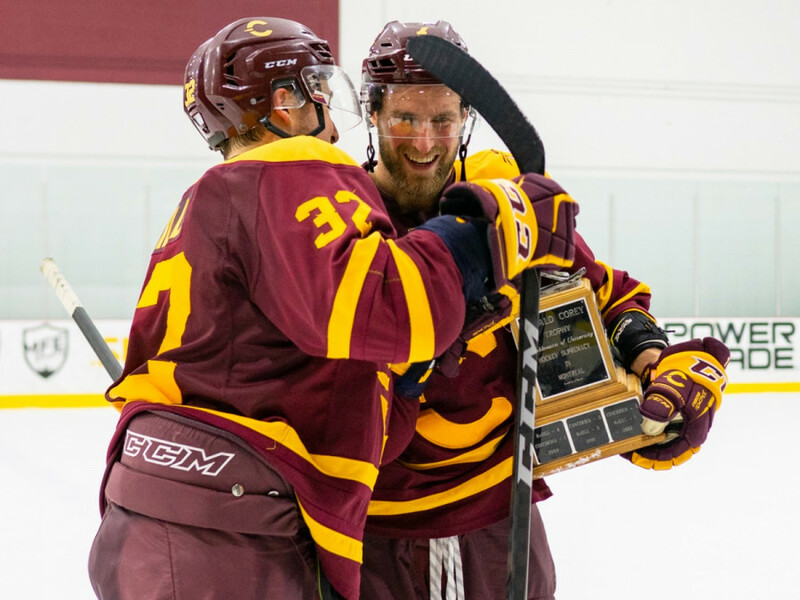 The usual action of the rivalry was amped up to 11 and the teams showed the best of U Sports hockey through a blend of high skill, fast paced hockey and hard nosed physical play. That’s been their M.O for the last two years though. 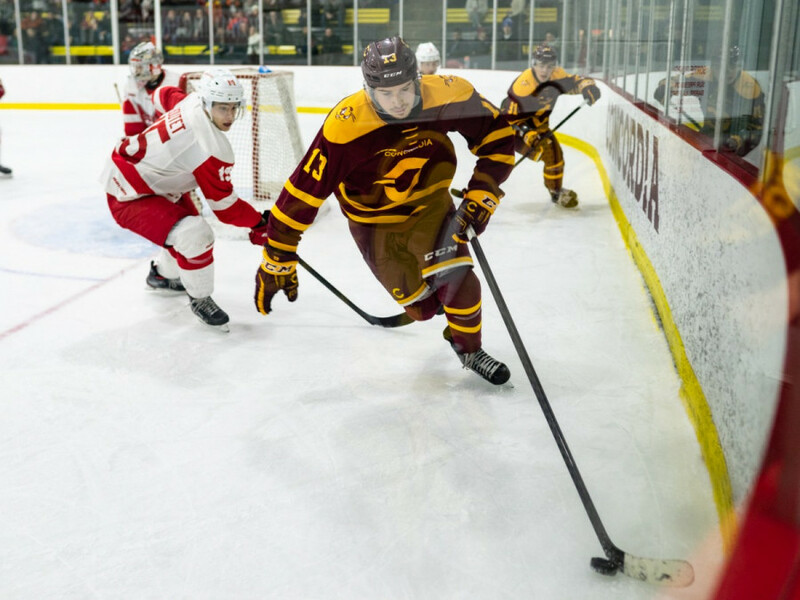 With Concordia’s recent development over the last few years pitted against McGill’s consistent dominance, the two have treated fans to 11 tight games since October 2017, including a playoff series. The best rivalries are tight fought. This one is no different. 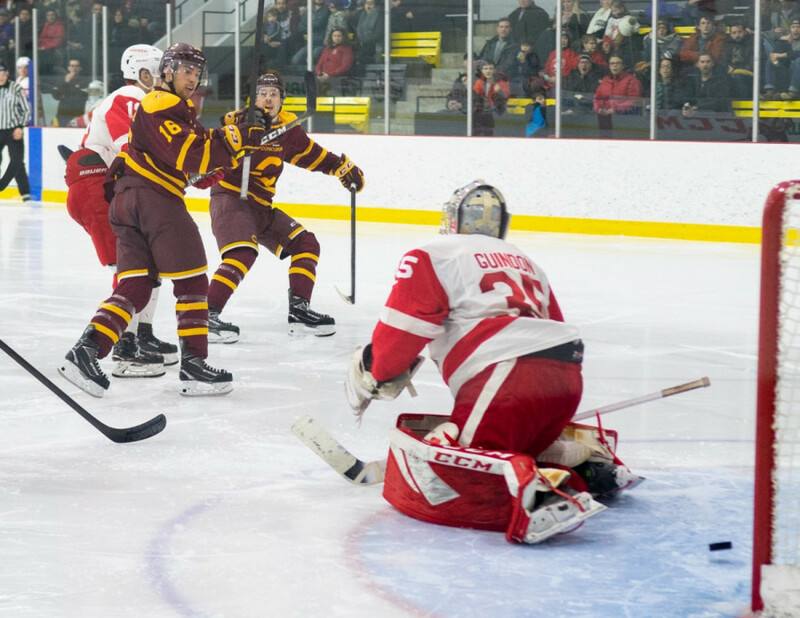 The 2017-2018 season saw Concordia and McGill each win one home game and one away game against each other, by a single goal every time and a playoff series that took all three games, one of which went to overtime before Mcgill earned the win. This season, the Stingers won three of the four games, but the number of goals scored was dead even at 16 each. No matter which team is leading or how a game looks, neither side can ever be counted out, nor can a game be expected to end without some kind of excitement. Maybe it’s a flashy goal or a late defensive hold, but it’s just as likely to be some rough stuff with these rivals. There’s no love lost between the two. No matter if you’re a rookie or a veteran, the moment you step on the ice in this rivalry, the hate sets in. Neill had a night to remember, notching two assists, making key defensive plays, and committing to his part in the rivalry with a few hits, slashes, and plenty of talking. He certainly had help in that aspect from both sides. While high skill plays and dazzling goal from players like Philippe Sanche, Hugo Roy and Charles-Eric Legaré were on display to show the finer side of hockey, both sides spent even more time mouthing off to each other and throwing hits than usual. The game even presented the rarest of sights in U Sports: a fight. Zachary Zorn did drop the gloves and two other skirmishes broke out around him. He is currently listed as having served penalties for roughing, so he may avoid any suspensions but that remains to be seen. Either way, his teammates and the crowd of Stingers fans loved it. The cheers from the stands were loud then, as they were for much of the game as the Ed Meagher saw its biggest crowd of the season so far. Seats were filled and some watched the game from their feet. Players were quick to note how much they enjoyed the cheers and chants of the crowd, often led by the usual deep throated cheer of “let’s go Stiiiiiiingers” from one of the team’s most consistent and vocal fans. The fans have plenty to cheer for now but the rivalry wasn’t always such a good one for the Stingers. It wasn’t too many years back that the Stingers were a struggling team rather than one recently playing at nationals. No one knows that better than the Stingers captain. Hudon has seen the best and worst of the rivalry and has come to appreciate it, particularly now that concordia is on top. “It’s for the supremacy of the rivalry in Montreal. It’s that much more important, that much more fun, especially when you win. I’m happy I’m a winner,” said Hudon, smiling in satisfaction after his fifth and final Corey Cup battle. As tight as the standings are, it’s difficult to predict playoff matchups that begin in two weeks. But if the postseason started today, Concordia and McGill would be facing off in a first round matchup. Hudon is certainly ready for that.